Dogs owners often consider their canines to be members of the family and they want to do everything they can to keep them safe and healthy. Pups can easily get into trouble as many common household items are hazardous for your pet. Before bringing home a new dog or to make sure your current four-legged friend stays safe, pet-proofing your house and keeping your canine companion protected from illnesses will help ensure they will be by your side for many years. Canines are notorious for getting into things at home and there are many items that can cause illness or injury if found by a dog. Expertise details that items like exposed electrical cords, rubber bands, string, and dental floss can be harmful to dogs, and they can easily choke on things like jewelry or batteries too. Poisoning is a serious concern for dog owners, as many regular household items and foods can cause grave issues. Everyday medications should be kept out of reach, and rodent poison should never be accessible to dogs. Household cleaners can be dangerous for your pet; make sure you restrict access to chemicals and toxic substances in the garage, too. Plants like lilies, chrysanthemums, and azaleas can be toxic for dogs, so be careful with allowing your pet to roam free in the yard to avoid accidental ingestion of toxic plants and flowers. And man’s best friend may love table scraps, but a number of foods are dangerous for canines. Many people know that chocolate is a major no-no, but the ASPCA points out that raisins, grapes, the sweetener xylitol, and macadamia nuts can cause serious issues, too. Frequent exercise is important for a dog’s health, but avoid the middle hours of the day if you live in a hot climate. Regular physical activity is important because it keeps your canine in shape and stimulates their blood flow and circulation. Exercising also helps your canine avoid boredom, and owners know that a bored dog can cause a lot of trouble around the house. Petful recommends keeping your dog at a healthy weight to reduce the risk diabetes or arthritis. Illnesses like canine parvovirus, distemper, and rabies can be avoided with regular vaccinations and you should always watch your dog for signs of illness and check for ticks regularly to protect them from Lyme disease. The dog flu is a concern to many owners as it is highly contagious. Canine influenza spreads from dog to dog when they have contact with one another’s saliva or touch noses. 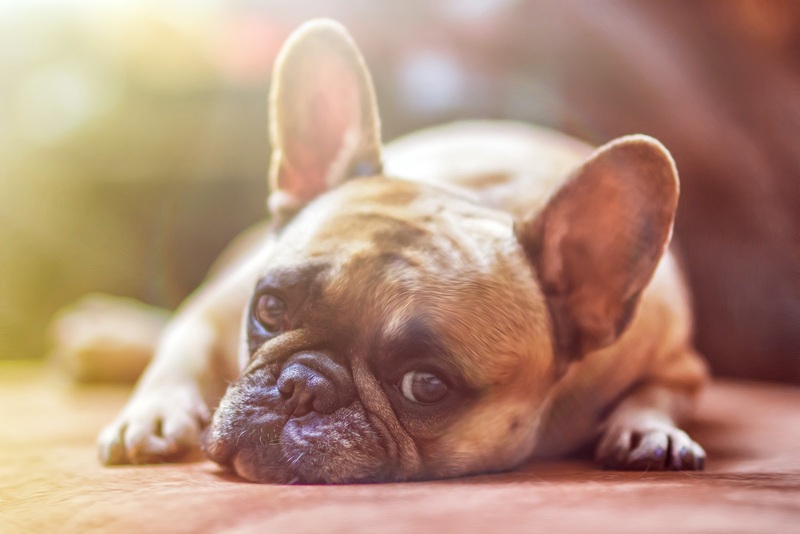 This illness is not typically deadly, but owners should watch for symptoms such as fever, coughing, loss of appetite, and dehydration and consider getting their pet the flu vaccine. To keep dogs safe, owners need to put potential choking hazards and poisons out of reach and make sure their pup is vaccinated on schedule. Keep identification on your canine in case it gets lost and give them plenty of opportunities to get exercise. By understanding some common health and safety issues that can arise with dogs, families can keep them safe and happy for many years. © 2017 OurBestFriends.pet | All Rights Reserved.